Giuseppe Musmeci is a man of many talents. 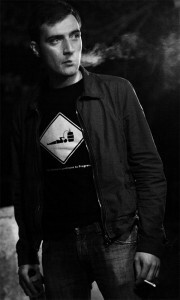 He’s a self-taught composer, guitarist, electronic musician and member of the Italian post-rock outfit HC-B. His work under the Willem Gator moniker is a beautiful tapestry of atmospheric down-tempo, big basslines and oriental instrumentation, often counterpointed by urgent and angular beat-driven explorations. He creates music that is not only about ‘place’, but also deeply embedded in its own place of construction and composition. His pivotal 2011 album Hong Kong Express is testament to this approach, composed while the artist lived in a ‘cubby hole’ apartment in Kowloon. Definitely Peter Hook from Joy Division-New Order! Describe your musical career in 6 words or less.